You would think in this age of satellite mapping and websites like Google Earth the highest point in every country on the planet has been calculated by a machine, and you can just look it up somewhere. Perhaps such a day isn’t far away, but for the time being we still rely on humans, albeit ones armed with handheld GPS devices rather than theodolites and trig tables. One of the most comprehensive sources of the world’s high points is the website Peakbagger.com. It started life as a handwritten spreadsheet kept by a chap in California called Greg Slayden, and thanks to crowdsourcing it now contains some 50,000 peaks worldwide. For example, take the highest point in Zambia. It doesn’t even have a name, and Peakbagger simply lists it as a 2329m peak called Mafinga Hills High Point. 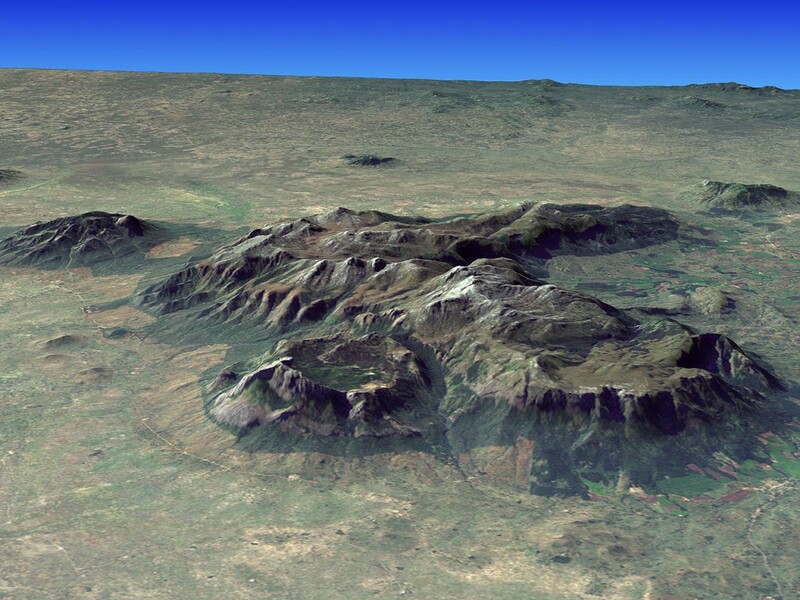 While it might be the highest point in Zambia, it probably isn’t the highest point in the Mafinga Hills. Not so very long ago this much wasn’t even known, and I’m presuming the data must have been updated based on information one of the website’s visitors has provided. Even so, nobody can be sure this peak is actually Zambia’s highest without a more thorough reconnaissance of the area than anyone has done so far. A friend of mine Edita has recently been working out in Zambia, and we thought it might be a good opportunity to get out into the wilds and climb its highest mountain. We didn’t think our biggest problem was going to be identifying which mountain to climb in the first place. My initial research took me to the website of an organisation called the Exploration Society of Southern Africa who described a road trip across Malawi to a range of remote hills on the Zambian border. In addition to researching the highest point in Zambia on Peakbagger and the CIA website, they had contacted the Surveyor Generals of South Africa, Zambia and Malawi, and even joined a singles website in the hope of finding someone with more information (though this sounds suspiciously like an excuse to me). They narrowed their search down to the Mafinga Hills, drove along rutted dirt tracks to get there, and had to ask the local chiefs for permission to scout out the hills. On one occasion they climbed the peak listed on Peakbagger only to realise an adjacent hill was higher, but they did manage to reach the top of three hills and measure them. They concluded the peak listed on Peakbagger was wrong, that they had reached the summit of the highest peak wholly within Zambia, but that the highest point was actually one they hadn’t climbed somewhere on the border. By email I then contacted a gentleman called Robert Gondek from Poland, who is currently undertaking an ambitious quest to climb not just the highest mountain in Zambia, but the highest point in every country in Africa. He has an interesting website documenting his project and other travels around the world, though unless you speak Polish you will need to use Google Translate to browse it. 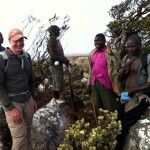 He climbed three more peaks in the Mafinga Hills and measured them, believing one of them to be the highest point in Zambia. It was only later he learned the border has recently been changed, and the three peaks he climbed are now in Malawi. It was beginning to sound like an incident from The Ascent of Rum Doodle or, less fictionally, Bill Tilman’s account of climbing in the Rwenzoris. I was wondering whether we needed to pack an extra crate of champagne in case of emergencies. Poor Robert now has to go back there and climb it again, but he was able to help me a good deal. We learned the roads in eastern Zambia are in poor condition and the peak, wherever it may be, is much more easily accessed from Malawi. He has provided me with a map which identifies the point he now believes to be the highest in Zambia. He also put us in touch with a local trekking agent familiar with his quest. All we need to do now is go there, climb a peak or two ourselves and measure them, and hopefully we will be able to return the favour by following up on the information he has provided. If all goes to plan by the time you read this Edita and I will be driving across Malawi with the riddle solved, so watch this space for the answer. Our search has taken us in unexpected directions, but it has been quite a serendipitous one. If we have to go into Malawi to climb the highest point in Zambia – we thought to ourselves – why not also climb the highest peak in Malawi? Why not indeed. While we are expecting the Mafinga Hills to be a set of gently rolling grassy peaks with little to distinguish them other than prominence, the highest mountain in Malawi is much more interesting. I even learned a new word as I was researching it, and it’s not even a rude one. Mt Mulanje, or the Mulanje Massif, as it is more properly called, is a giant 22km by 26km monadnock, which is to say it’s a rock protrusion rising abruptly out of the surrounding landscape. Monadnock is originally a native American word for an isolated mountain rising out of the plain. More specifically it is a mountain made out of rock that is more resistant to erosion, and has been formed by surviving the erosion that has taken place around it. 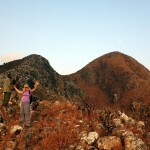 Mulanje contains around a dozen peaks over 2500m in its sprawling 600 sq km area, but while finding the highest peak in Zambia is a bit like playing a game of whack-a-mole, the highest peak in Malawi has been clearly identified. 3002m Sapitwa Peak is not only the highest point in Malawi, but the highest point in southern Africa north of South Africa’s Drakensburg Mountains, and is higher than any peak in Zambia, Zimbabwe, Mozambique, Botswana and Namibia. I understand it was first climbed in 1894, but again information about this ascent has been scanty. I believe it may have been by members of a botanical expedition sent to collect plants from Mulanje that year, but without further research I can’t be sure. 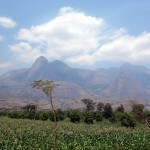 I have also learned that one of Mulanje’s summits, Chambe Peak contains one of the longest rock climbs in Africa, H Rider Haggard used Mulanje’s towering dark rock and swirling mist as a setting for his novel People of the Mist, and it was the inspiration for the Lonely Mountain in JRR Tolkien’s The Hobbit. A member of the writer Laurens van der Post’s expedition to Mulanje on behalf of the British Government in 1949 was swept over a precipice to his death during a 5 day rainstorm. Perhaps even more disturbingly, Sapitwa Peak is believed to be inhabited by mountain spirits who leave bananas on the summit for the benefit of weary hikers, but those who refuse their offering reputedly go missing in mysterious circumstances. According to my Lonely Planet guide the mountain contains dense green valleys, sheer cliffs and sparkling waterfalls. It’s home to an endemic tree, the Mulanje Cedar, which has become endangered by the planting of non-native pines. With sharp eyes, good guides and a quiet tread we can expect to see klipspringers, leopards, rock hyraxes and vervet monkeys among its forests. I just hope we don’t find any bananas. It should be fun, and it will be a refreshing change to do a spot of peak bagging without hauling all that heavy mountaineering equipment around. I look forward to providing an update about this mini project in a couple of weeks’ time. 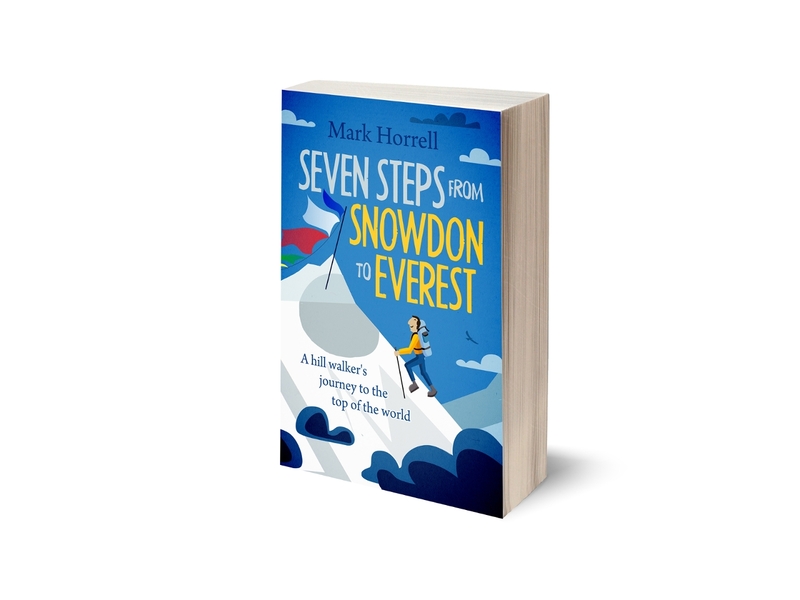 “It was only later he learned the border has recently been changed, and the three peaks he climbed are now in Malawi.” poor man! Wish you two have a funny climbing. Take your GPS and waymark the hut for your return for summit day on Mulanji. It’s about 1/2 day there and back from the hut and the summit route is not clear at all. Easy to get lost, as our guide did. We never did find the summit. There are many boulders several meters high which obscure the route, if there even is a “route”. 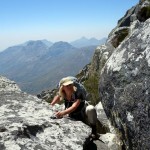 As for summit bagging, there are a number of people aiming to bag every country’s summit. The last time I looked, a few people had got quite close. The Japanese lady who was the first woman to summit Everest was on that quest, if I remember rightly, though I doubt she made it as she was running out of lifespan. Most country’s peaks are easy, for example Belgium, while others are extremely difficult, such as Pakistan’s K2, due to technical difficulty, or Somalia, due to risk of kidnapping. Eritrean visa formalities are so tight even Eritreans have difficulty getting there. I spent 2 weeks trying to get a visa this summer, but finally gave up. Country border changes, as you rightly say, can be frustrating. You think you’ve bagged one, only for two to pop up. I just finished Europe, going to Azerbaijan last month. Yes, Azerbaijan is in Europe, it hosted the Eurovision Song Contest, proof if any were needed. At 142 countries, I think I’m done. I’ve seen enough.